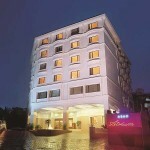 The Renaissance Cochin is a four-star deluxe hotel in Kochi that combines profit with pleasure, style with substance and form with function. 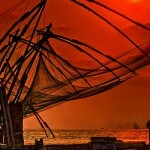 It is residing at Palarivattom, at the heart of Cochin and yet free from its din and bustle . 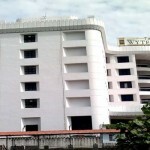 Hotel is situated in sub urban area of Palarivattom and is close to shopping centers and business center of the city. Apart from all this hotel also provide world class business and conference facilities and halls that are equipped with several modern devices to handel these kind of meetings. 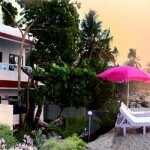 Hotel The Renaissance is a hotel where modern luxury mixes up with the traditional hospitality of Kerala. Hotel The Renaissance offers its guests 47 rooms that have been decorated and furnished to provide a relaxed, comfortable environment. 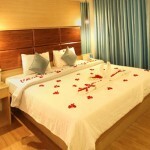 Rooms at the hotel have been categorized into suites and rooms. All rooms and suite at the hotel are spacious and have been loaded with all kinds of modern luxuries for the guests to enjoy. 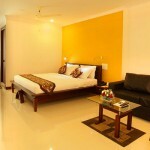 The Renaissance Cochin features lavishly appointed and centrally air-conditioned rooms and suites. It has two specialty restaurants, a 24 hour coffee shop and six banquet/conference halls varying in capacity from 10 to 400 pax. Dinning in The Renaissance : The Black Pearl rooftop specialty restaurant served authentic oriental cuisine . 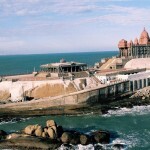 The Pavilion coffee shop serving the choicest international cuisine. The coffee shop has a cascading waterfall. Rasaleela restaurant, which depicts the typical Kerala style of temple architecture, serves a delectable variety of Indian cuisine and Live Indian Instrumental Music. The Temple of Bacchus elegantly cozy Permit room is well-stocked with a wide range of fine liquors. The Renaissance Hotel is located just 2 km away from Ernakulam Town Railway Station and 20 km away from the Cochin International airport. 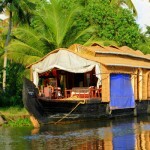 The Various nearby places to visit including Jewish Synagogue , Mattancherry Palace , St. Francis Church , Boghatty Palace , Willingdon Island , Hill Palace Museum etc.